This surprisingly uneven collection of essays, addresses, journal entries, and casual writings covers the period from 1973 through 1987, and stands in sharp contrast to the high watermark of the author's The Color Purple (1982). Walker's subject matter ranges from reincarnation to politics and race, but raids on the bottom drawer seem strongly in evidence here. One journal entry records Walker's dream of a two-headed woman; another suggests that one strategy for examining history is to record the characteristics and "vibrations of our helpers whose spirits we may feel but of whose objective reality as people who once lived we may not know." Jottings, speculations, fleeting impressions abound but lack the kind of development and shaping that would transform them from journal notations to writings worthy of publication. Of greater interest is the more polished "The Dummy in the Window: Joel Chandler Harris and the Invention of Uncle Remus," an address given by Walker to the Atlanta Historical Society, as well as Walker's take on the frenzied Philadelphia police response to MOVE. 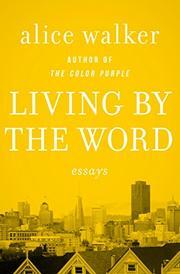 Similarly, Walker's reaction to a proposed Oakland ban on The Color Purple, in the form of an essay read to the National Writers Union and the Black Women's Forum, presents the author's views in a stronger light and includes important commentary on Walker's use of idiom and approach to language. And of primary interest is the author's response to objections raised by readers and black spokespeople about the character of "Mister" in The Color Purple. At best, then, a companion piece to Walker's fiction, especially when read selectively with an eye towards the techniques and ideas driving her narratives.